Have you ever felt lost when your colleagues or friends discussed about the latest food trends in Singapore? With so many sources, it's almost impossible to find a consolidated platform that's specifically dedicated to the one thing we all need: food. 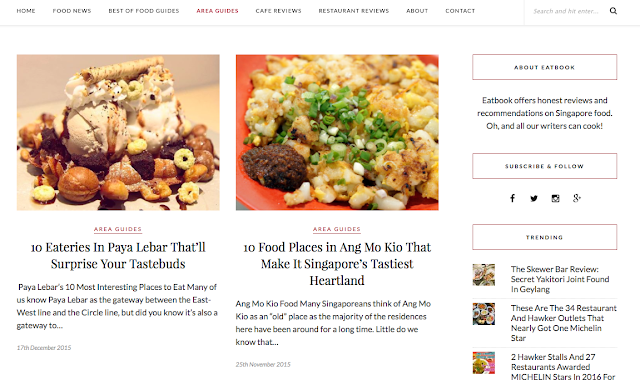 The very same people behind smartlocal has now kickstarted a new initiative called 'eatbook.sg', a food review website which proudly displays its code of ethics. Here's what they have to offer. If you don't want to waste your time, effort and money trying the various food options around your estate, then you would love this area guide. Each post is completed with addresses, operating hours and contact numbers. Great efficiency— theres on need to hunt for food anymore! The thing is this: images have spoken louder than anything else since prehistoric times. One of humans' first form of communication material was in graphical representation, symbols and elements. 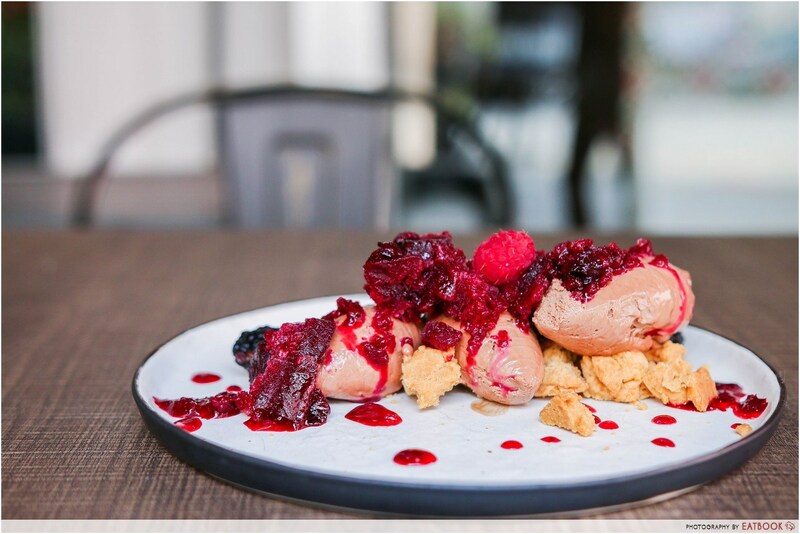 Eatbook.sg provides great representation of the food through its photos. "Instead of a typical airy-lightness, the bittersweet cacao mousse component had an interesting density – being velvety and almost cloying, rather than melt-in-your-mouth. The richness of the mousse was cut by the tart blackcurrant granita. Sharp and refreshing with a balanced natural sweetness, the granita held its own in terms of flavor, and did its job in lifting up what would have otherwise been a too-heavy dessert." 4. Too busy to read through? Just check out the summary at the end! 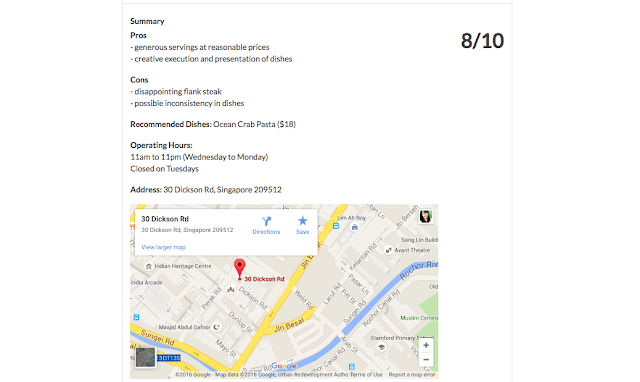 An easy way to gauge the quality of a restaurant / cafe / hawker stall is the summary at the end. However, I just think it might not be too fair to give a verdict just after a single try (and also not trying every single item on the menu). After all, having a score of 5/10 might really crush a food's owner / chef's spirit terribly. Hopefully, there's a way to encourage people to cook more passionately with love instead of penalising them! 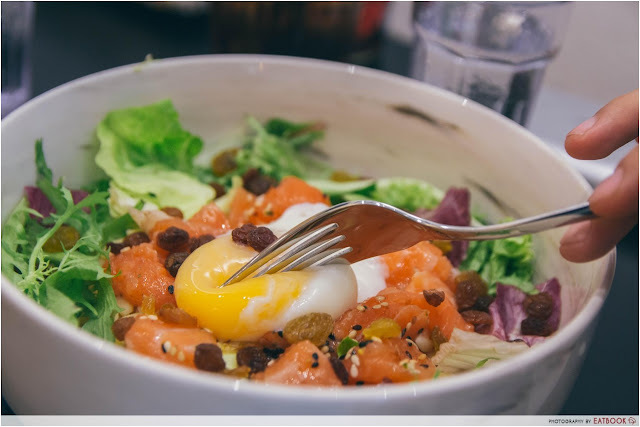 This post is brought to you in collaboration with Eatbook.sg.